Writing thank you cards are not old fashioned and out of style. They are just like a bottle of Chanel No.5 and a good red lipstick…CLASSIC! In a digital world, handwriting thank you cards may seem faux pas. But, think about a time where you received snail mail that put a smile on your face. A simple gesture can brighten someone else’s day. 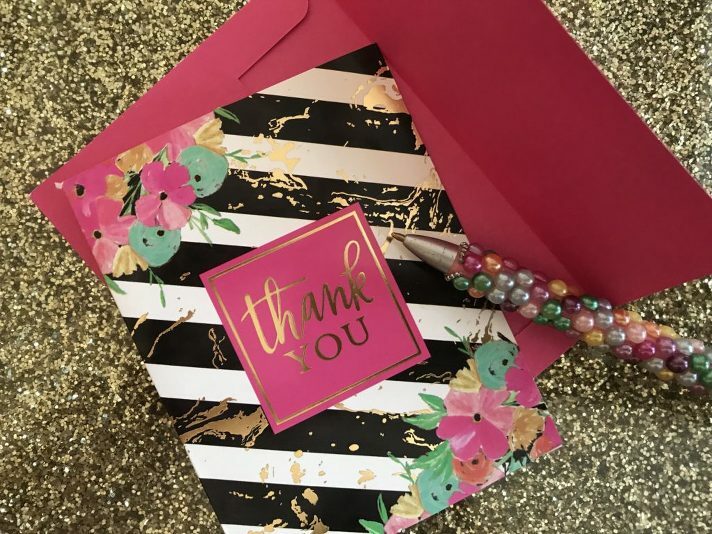 I want to share a few tips with you on how to write the perfect thank you card. Check them out here in this quick and short video. How do you genuinely say Thank You? Let me in the comment area.